From "This American Life alum David Rakoff comes a hilarious collection that single-handedly raises self-deprecation to an art form. Whether impersonating Sigmund Freud in a department store window during the holidays, climbing an icy mountain in cheap loafers, or learning primitive survival skills in the wilds of New Jersey, Rakoff clearly demonstrates how he doesn't belong-nor does he try to. In his debut collection of essays, Rakoff uses his razor-sharp wit and snarky humor to deliver a barrage of damaging blows that, more often than not, land squarely on his own jaw-hilariously satirizing the writer, not the subject. 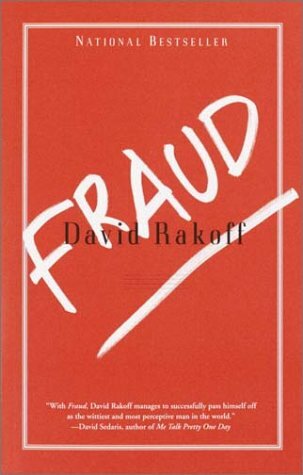 Joining the wry and the heartfelt, "Fraud offers an object lesson in not taking life, or ourselves, too seriously.